It was hard convincing my family to stray away from boxed macaroni and cheese. I grew up with it. My husband grew up with it. It was basically what some of my kids survived on in their picky years. The tide turned for us when I saw Rachael Ray make homemade cheese sauce only one time, and I knew that I could do it, too. I wanted my family to enjoy eating real food. This Beefy Mac and Cheese is now a family favorite with no leftovers to clean up. 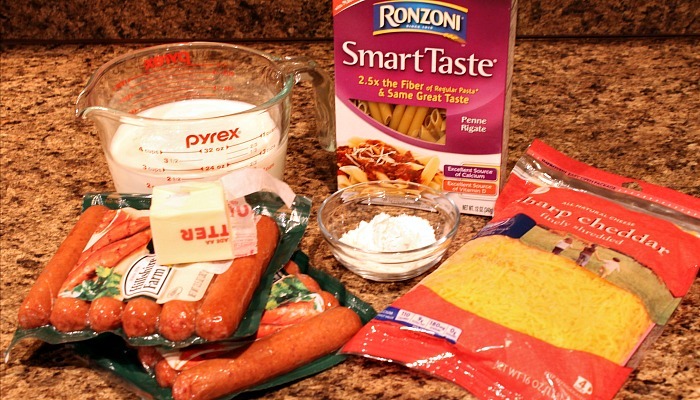 You can definitely make this recipe without the hot links. But I don't know why you would. 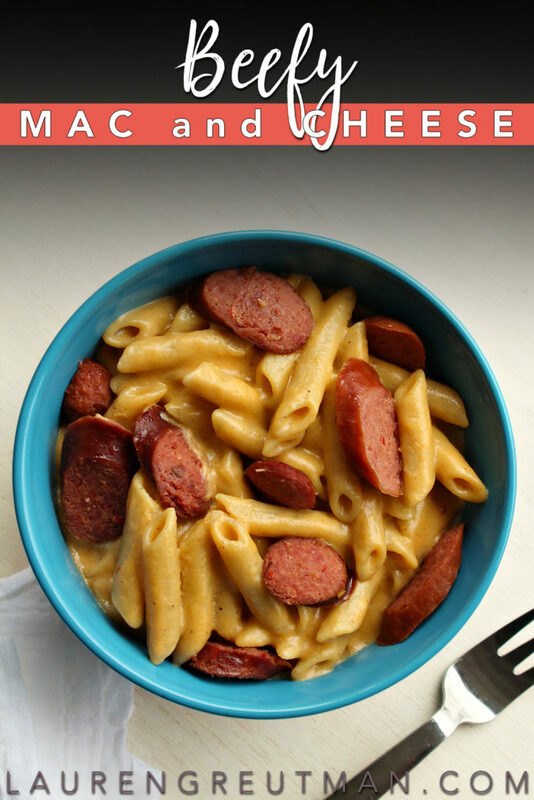 The meatiness of the hot links is a perfect match for the creamy mac and cheese. You could also try other smoked sausages or ground beef for a change of flavor, if you prefer. 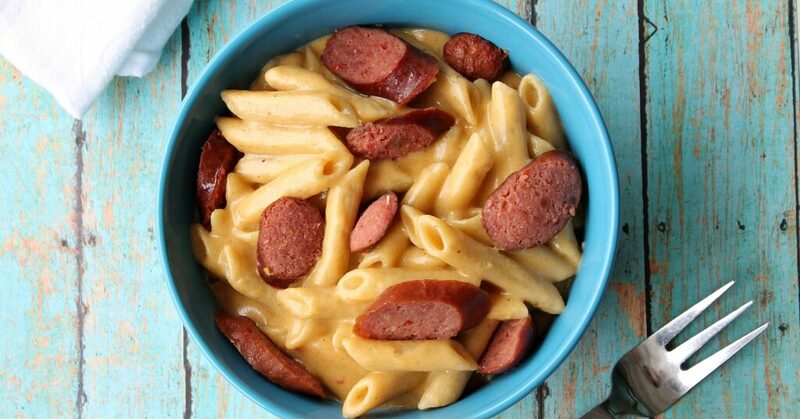 The meatiness of the hot links is a perfect match for the creamy mac and cheese. You could also try other smoked sausages or ground beef for a change of flavor, if you prefer. The cheese sauce is pretty much gravy with cheddar stirred it. That doesn't sound bad, does it? But the good part is that you don't have to worry about lumpy or thick, chunky gravy (cheese sauce). The key is simple. Just keep stirring and don't let the mixture come to a full rolling bowl and you'll be just fine. The final sauce will be thinner than you think. Don't make the mistake I did once of doubling the cheese. It's creamy and smooth just the way it is. I promise a pinch of salt will bring out the cheesy flavor and your whole family will reach for second helpings. Once you make this dish you'll never go back to boxed macaroni and cheese again. Cook the pasta according to package directions. It works out perfect for me to make the pasta and the sauce at the same time.They are usually finished within 2 minutes of each other. When the pasta is done, drain off the water and stir in a tablespoon of olive oil to keep it from sticking together. If it's done after the sauce is prepared, then skip the olive oil and simply drain and top with sauce. Place the chunks of hot link into a large skillet and heat over medium high heat until heated through and slightly golden brown. Remove the links from the pan and set aside. Do not drain the pan. Add the butter to the drippings in the links pan. Melt the butter over medium heat. 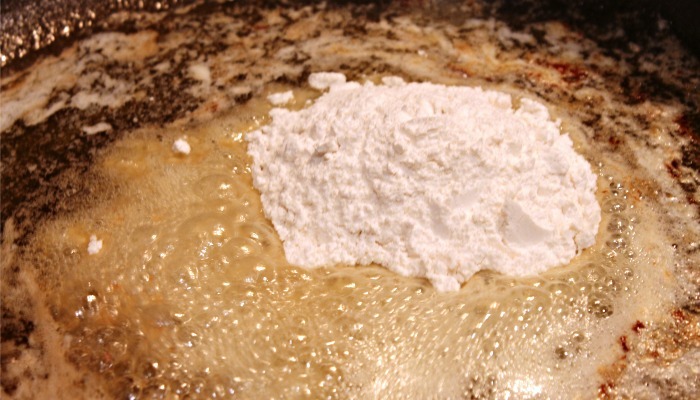 Whisk in the flour and stir continually over medium heat. The butter/flour mixture will begin to brown after 3 - 4 minutes. Slowly whisk in the milk. Make sure to stir continually over medium heat. 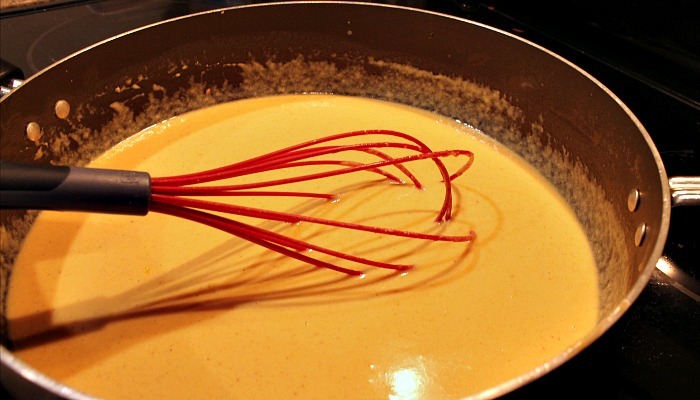 Bring the milk mixture near a boil and whisk in the cheese. Stir until the mixture is smooth and remove from heat. Do not allow this to come to a boil. Stir the cheese sauce into the pasta. Top with the links and serve.